No. 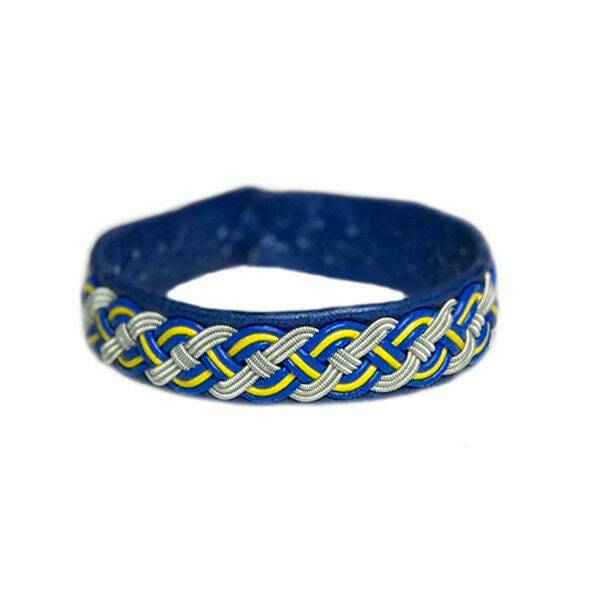 1118 Sweden: Sami Bracelet of pewter thread, leather straps and reindeer leather. 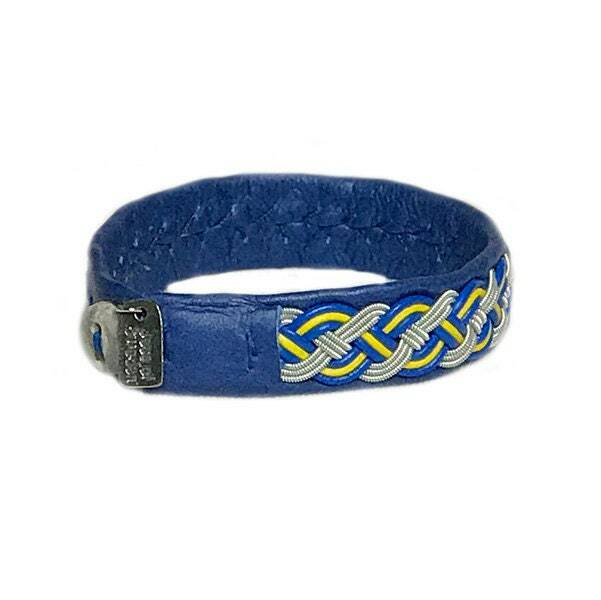 This bracelet is made of spun pewter thread, leather straps in the colors of Sweden, reindeer leather, and a button made from reindeer antler. The pewter thread contains 4% silver and is nickel-free. The materials are a specialty product of Lapland in Northern Sweden.